In case you wondered, fall does eventually come to Atlanta if you wait long enough. 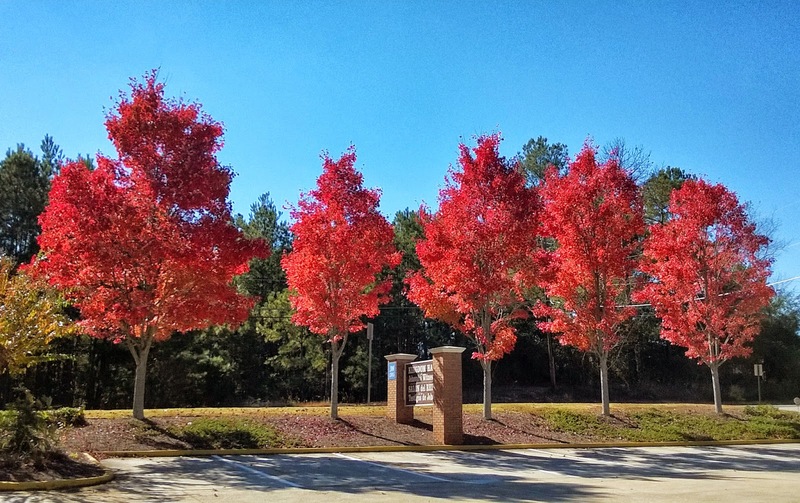 Although there are so many evergreen trees around our neighborhood there are now patches of very brilliant color. These five trees are along the parking lot of a Jehovah's Witness church near us.